When confronted with a need to build a large scale, upside down church, ACME jumped at the chance to create a truly unique experience. 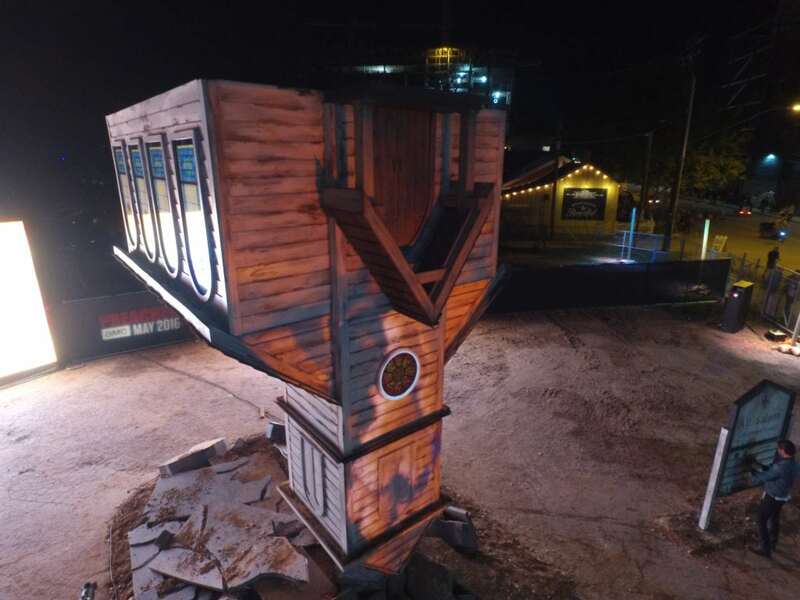 To promote a new TV show, ACME used its unique talents in structural steel, aluminum, set building, and artistic special effects to build the anchor element for the show. 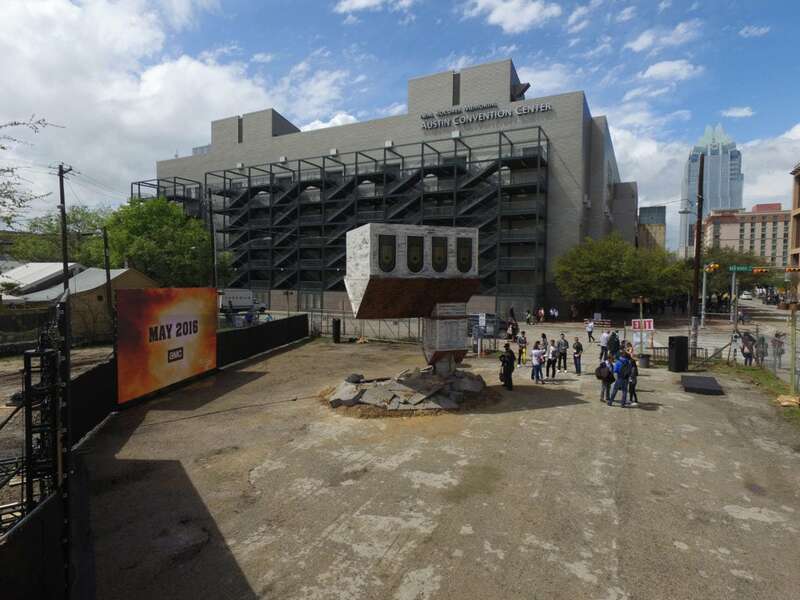 SXSW guests marveled at the spectacle of a church seemingly torn from its foundation, lifted and then crashed, steeple-first into the ground. ACME artfully sculpted rubble at the base of the church, a result of the impact. 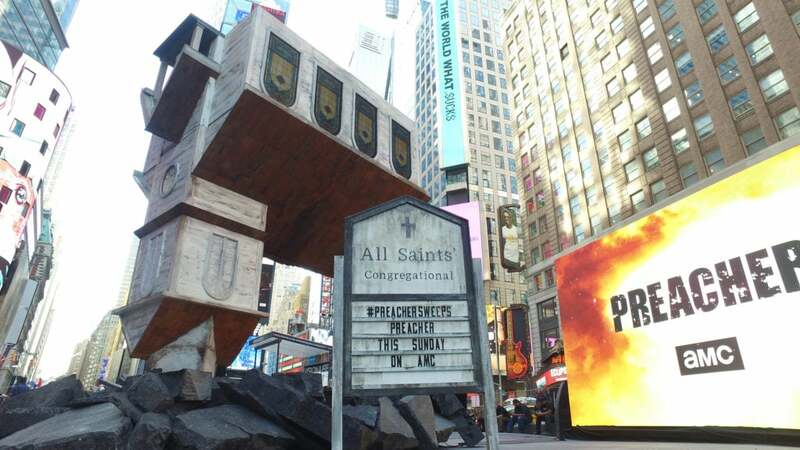 The church was used as a canvas for 3 projections, promoting the show. The stained glass windows were printed in high resolution, and backlit. ACME artfully sculpted rubble at the base of the church, a result of the impact. 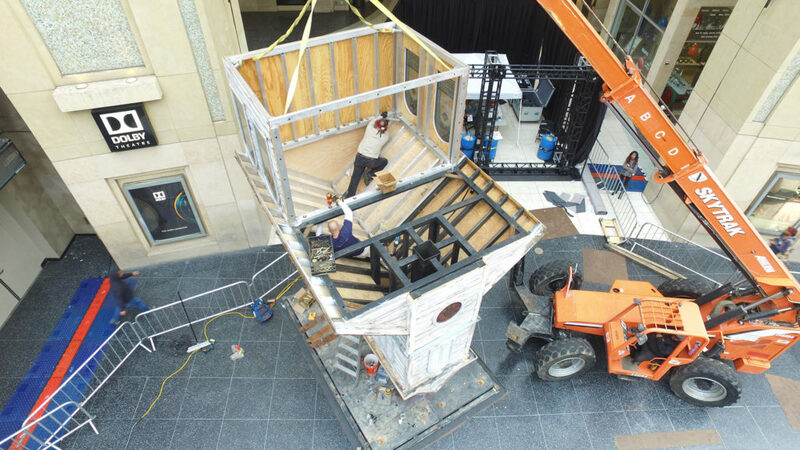 Our artisans were able to install the 10 ½ ton church activation in 1 ½ days, appropriately, in a torrential down pour.